Are you in the market for a commercial fit out in Brisbane? Jeb Built are specialist builders who can project manage your new shop renovation, office or kitchen fit out from conception to handover. We always come in on time and within budget, so if you are ready for a commercial fit out in Brisbane, here is a quick list of steps that will keep your project on the straight and narrow. In Brisbane, it is vital that you write a comprehensive brief for your new commercial fit out or shop renovation. This will cover the functionality of each area within the building or leased space, and might include the number of employees, office spaces, public areas, storage rooms, kitchens, front of house areas, and meeting rooms. A detailed brief is important for all industries, but particularly in the hospitality trade where you need a commercial kitchen fit out, as this brief will help you to organise a realistic budget and give potential contractors the ability to give you a firm quote for the work. Always ask around your business network for recommendations and check out their websites and references. Once you have found a number of contractors who are experienced in the type of fit out you require, whether that is a shop renovation, an office or commercial kitchen fit out, this is where your brief comes into play. It is important that you provide each potential contractor with the same brief, along with time frames and deadlines. This way you can make equitable comparisons between their proposals and make the best decision for your business and your budget. Don’t be afraid to ask questions and ensure that all proposals include a detailed outline of expenses and exclusions. Regardless of whether you are undergoing a complete commercial kitchen fit out, a simple shop renovation or an office fit out in Brisbane, you will need to have regular meetings with your contractor during the building phase. Any issues will need to be highlighted and dealt with immediately, so that your commercial fit out can remain on track. 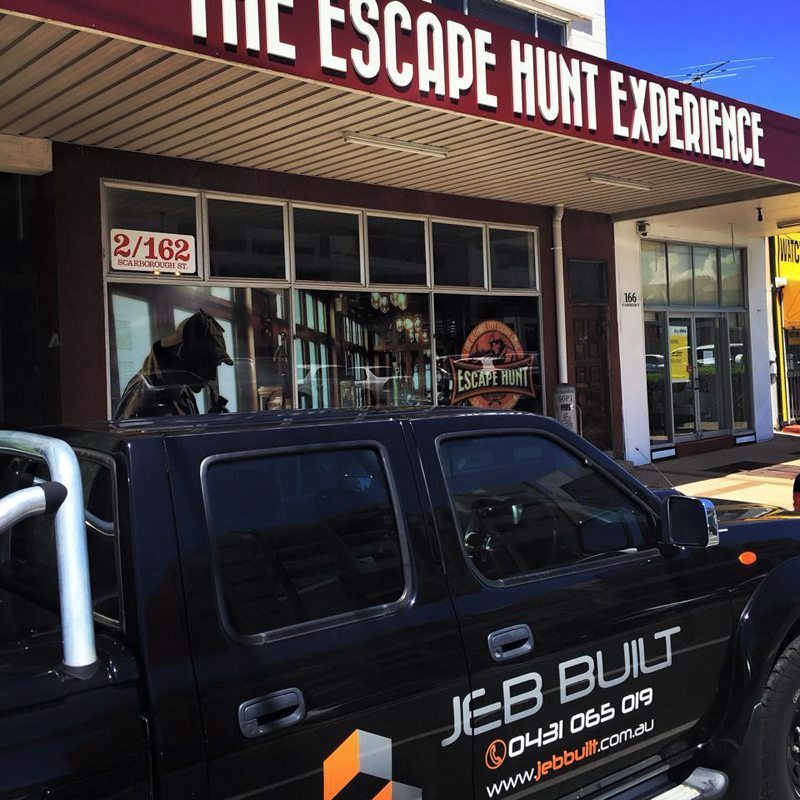 Why not call us at Jeb Built and get a quote online for your next commercial fit out in Brisbane?